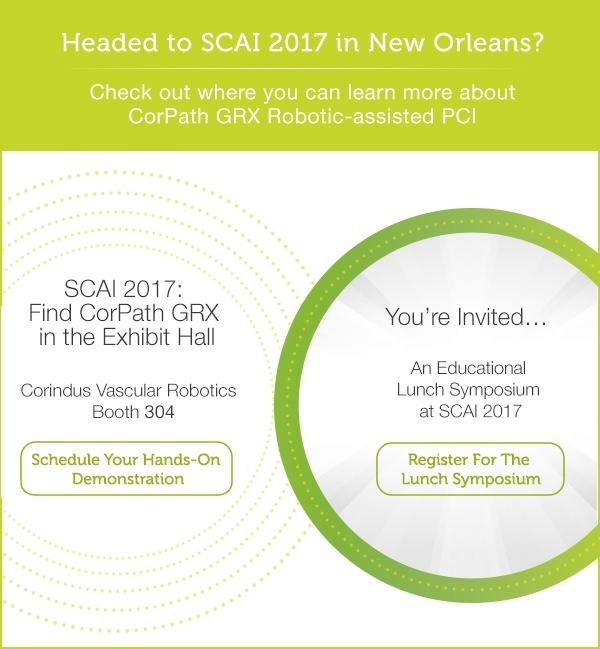 In this month's edition of the newsletter, find out where you can learn about robotic-assisted PCI with CorPath GRX at SCAI 2017. We recently announced that the first robotic-assisted PCI procedures were performed in Asia using the CorPath GRX System. 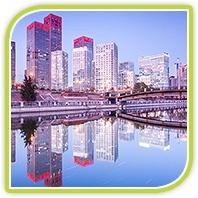 One of these procedures was transmitted live from Fu Wai Hospital to the more than 8,000 attendees at the China Interventional Therapeutics Conference. "The level of precision that can be attained using the CorPath GRX technology, combined with the potential for remote capabilities in the future, will both expand and improve how we treat our patients," said Xu Bo, MBBS, Director of Catheterization Laboratories, Fu Wai Hospital. 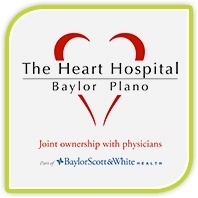 The Heart Hospital Baylor Plano recently announced the successful completion of the first robotic-assisted peripheral intervention in Texas. The procedure has been performed using Corindus Vascular Robotics CorPath 200 System—an FDA-cleared medical device used for robotic-assisted peripheral vascular interventions. “The ability to now leverage robotic precision in treating patients with peripheral artery disease (PAD) is an important addition to our range of treatment options,” said John Kedora, MD, vice chairman of vascular surgical services. The annual Interventional Cardiology Fellows Conference, organized by the Cardiovascular Research Foundation, was held earlier this month in Orlando, FL. Robotics was a hot topic with a standing room only lunch symposium entitled “Cath Lab Robotics is Here to Stay,” featuring presentations by meeting chair Dr. Manish Parikh and a number of interventional fellows who have worked with robotics in their fellowship. In addition to the symposium, fellows had a chance to drive the newly FDA-cleared CorPath GRX System with an advanced simulator in the exhibit hall.